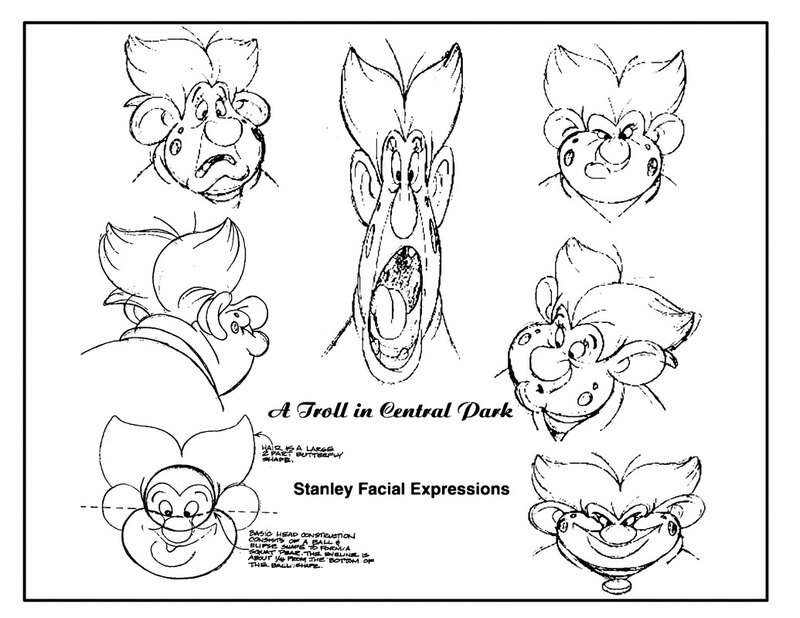 Bluth's specialty as an animator really comes through in the facial explorations within the top image. You can see a very exaggerated use of squash and stretch. Although very cartoony, Bluth manages to capture a variety of different emotions. 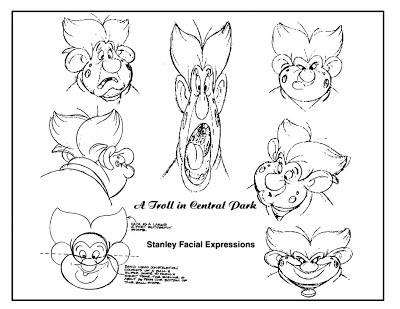 He also works from different angles and perspectives, showing all of the contours of the character's head. 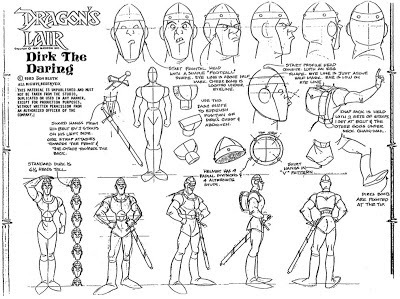 His Knight concept goes into lots of detail, even demonstrating the characters consistent height in a measurement of heads. 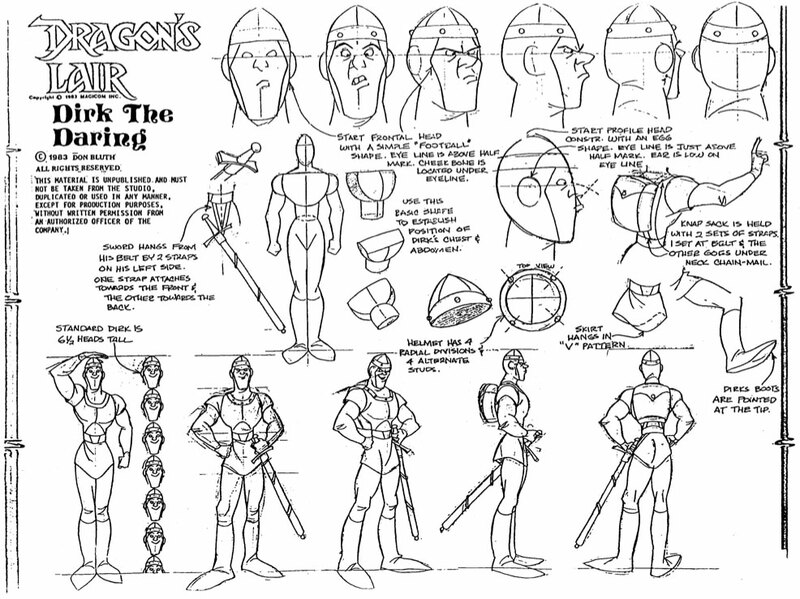 We even see some breakdowns of the character's atire and weaponry, as well as footnotes containing measurements and points on consistency. It could be said Bluth's designs are more cluttered and chaotic than those of Thierry Doizon, yet there is still something very visually appealing and presentable about Bluth's creative design processes.